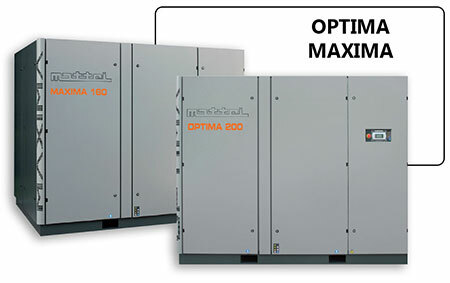 To ensure maximum energy savings Mattei’s OPTIMA range of variable speed compressons leverage mattei’s exclusive linear kw-to-capacity efficiencies to match their operation to suit the load profile required by the compressed air system. 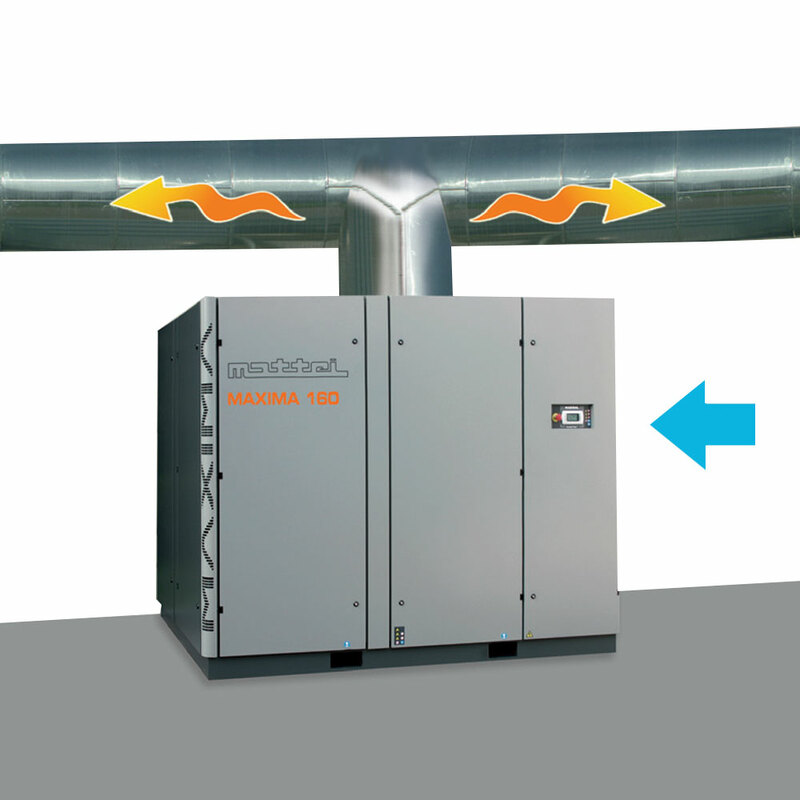 The inverter adjusts the motor’s rotational speed, adapting the air delivered by the compressor to the real demand. OPTIMA can save up to 35% of the annual operating costs. Optima operates within a range of pre-set maximum and minimum pressures. 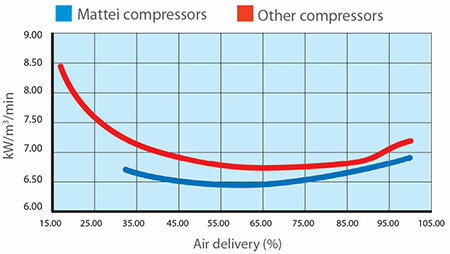 When reaching the maximum pressure, at the minimum rotational speed, the intake valve shuts and the compressor is set "off load" and decompressed to 1.5 bar to reduce the energy absoption further. When the line pressure lowers to the minimum pre-set value it is reset to the "on-load" condition and starts delivering air instantly, lapting the rotational speed to the air demand. 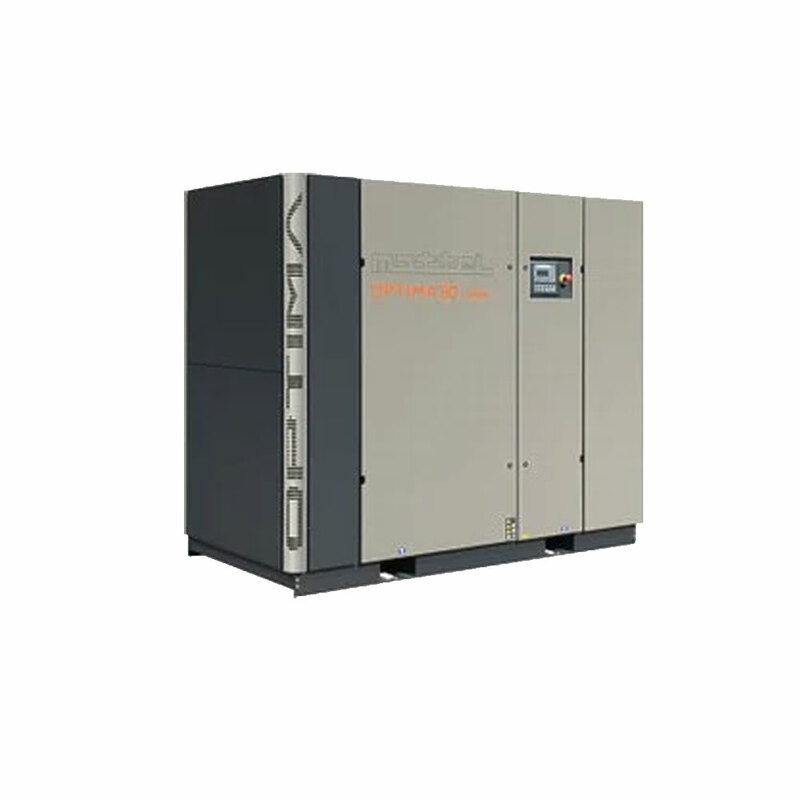 Mattei's variable speed compressors offer optimum energy efficienty throughout their operating range, there by reducing the cost of ownership. 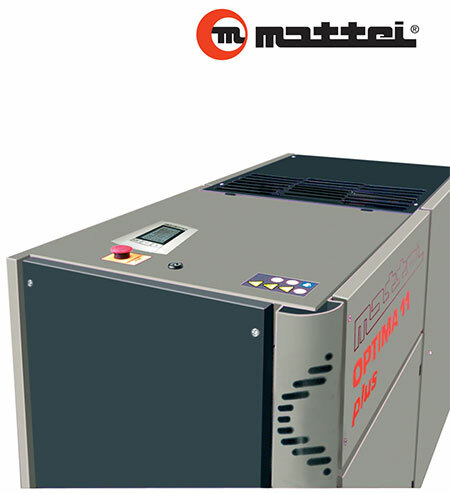 All OPTIMA compressors are, as standard, fitted with a Maestro electronic controller. 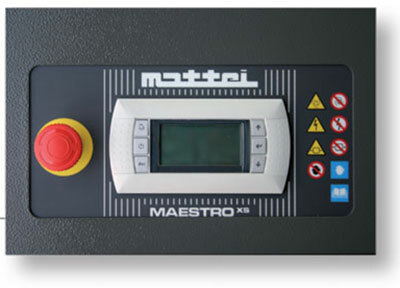 Thanks to this device the compressors are programmed to work in two different opreating modes: "Neutral Zone" and "PID". 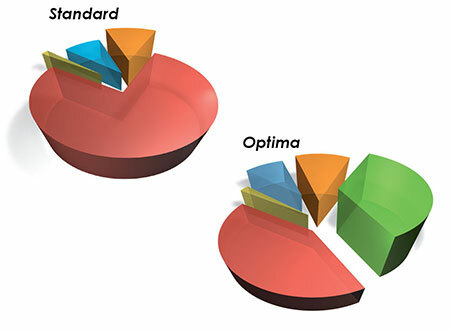 OPTIMA adjusts its operation to the load profile required by the system. 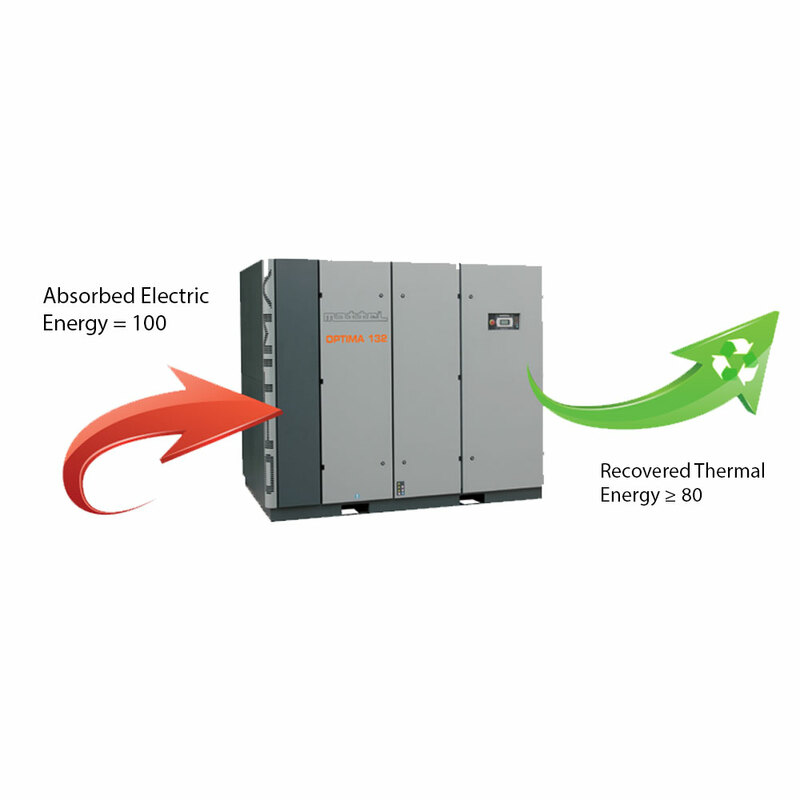 The inverter modifies the motor rotational speed, adjusting the air flow supplied by the compressor to the actual requirement of the system.